From the same series of the Future Assault Shell Technology (FAST) helmets, the BaseJump helmets were designed for search and rescue personnel while still featuring all the highlights of the FAST helmet system. A lightweight and ventilated build FAST helmets represents the latest technology and advancements in head protection. 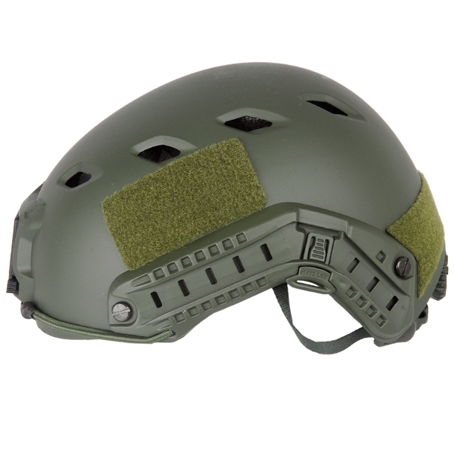 Aside from protection, these helmets introduces another layer of combat efficiency by providing a platform that accepts accessories through the mounts found throughout the helmet. 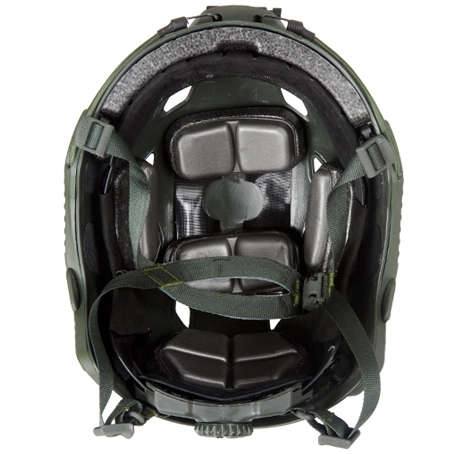 At the front of the helmet you will find Integrated Night Vision Goggles Mounts so you can keep your goggles at ready for whenever you need it. On the sides are side rails that can accept a variety of compatible accessories including flashlights or Go-Pro cameras (sold separately). Replicating all these features with this airsoft reproduction Lancer tactical themselves have also included Velcro panels you can simply adhere to your helmet for patches to help identify yourself in battle. 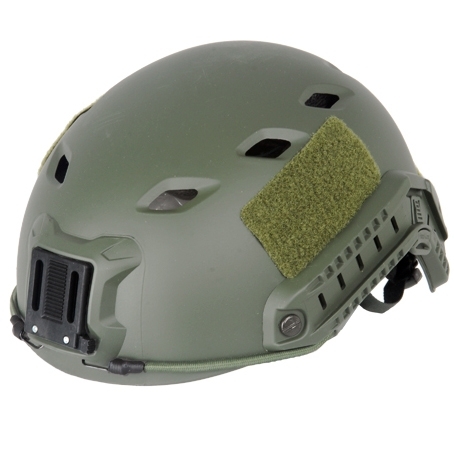 Please take notice these were manufactured for AIRSOFT USE ONLY and are not by any means designed to be used as a safety helmet to protect against impacts or gun fire - as they will not. 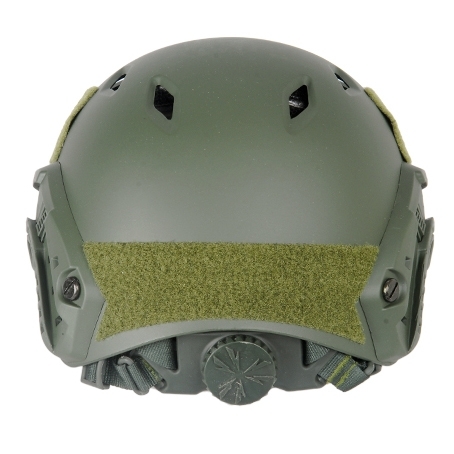 Yet still produced with a tough ABS polymer that will do fine in deflecting BB impacts, these helmets by Lancer Tactical are designed solely for play in airsoft.